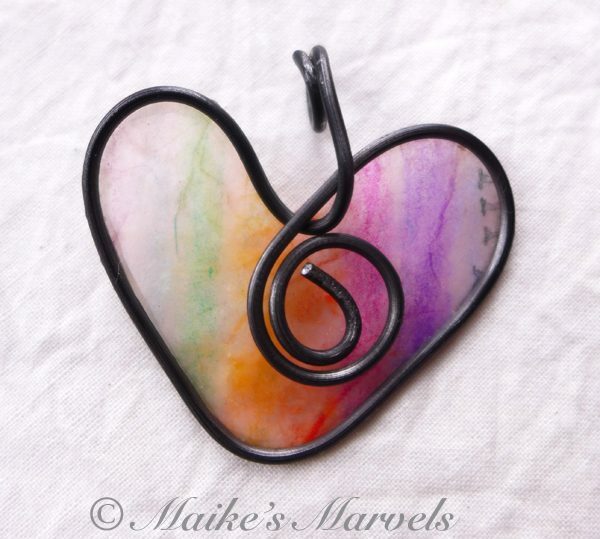 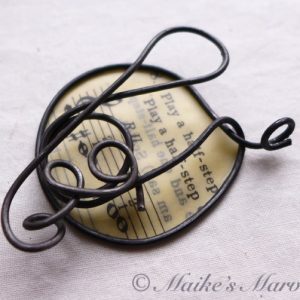 Give your Valentine your heart in the form of this gentle pendant. 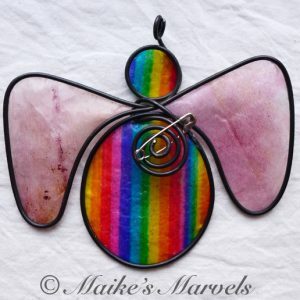 I hand-colored pink artisan paper with rainbow pastels. 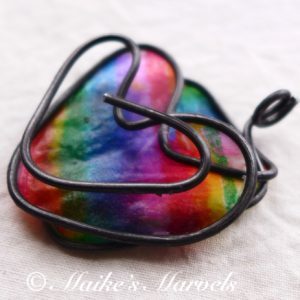 Then I wrapped steel wire into a heart shape. 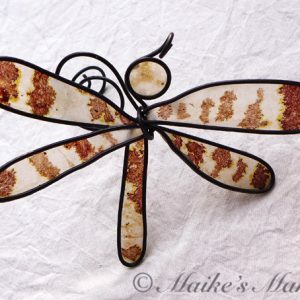 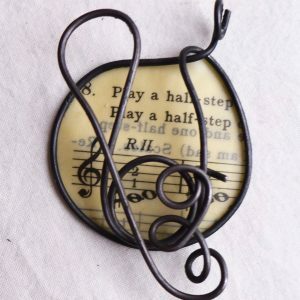 The paper was dipped into encaustic medium (a resin and beeswax mixture) and then adhered to the wire. 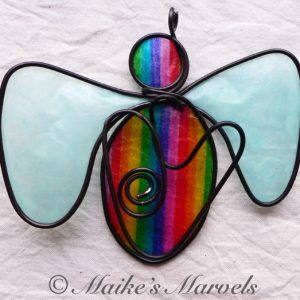 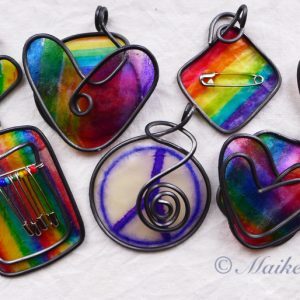 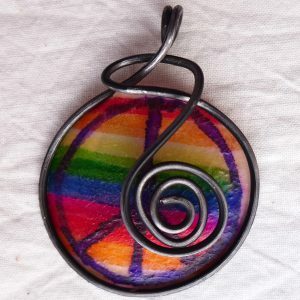 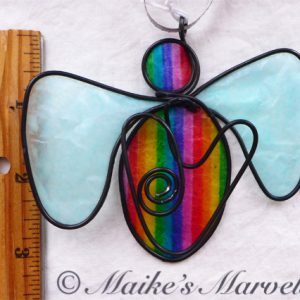 This pendant measures 1 3/4 inches long by 2 7/8 inches wide. 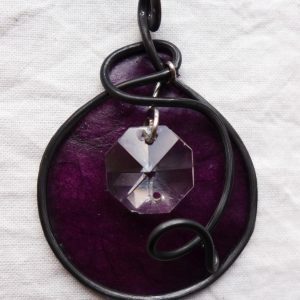 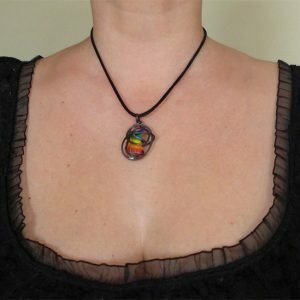 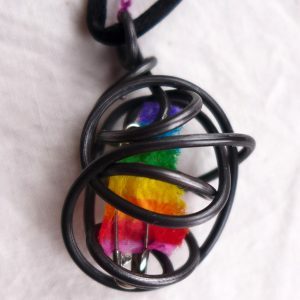 The pendant comes with a black satin cord.